An old musterer's hut in the upper Fraser River catchment. Lots of interesting historical "graffiti" carved into the walls with old mining areas nearby. Boundary hut (Basic, 3 bunks) is about 4kms away. 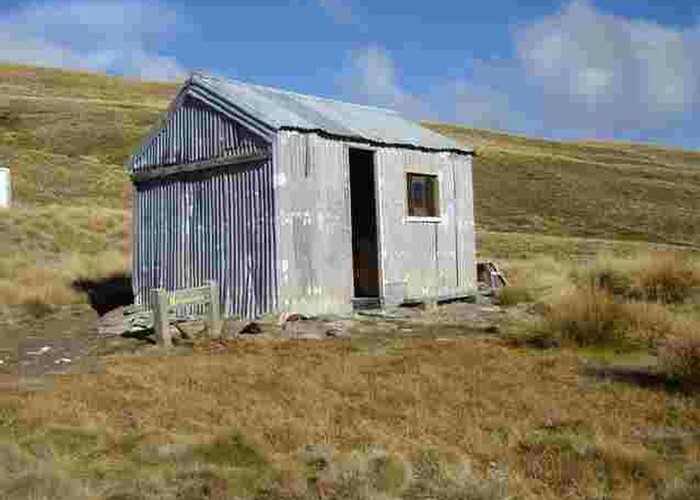 Nicholsons hut • By cluanbeag. Licence: C.
Usual access is fron the crest of the road from Fruitlands to the Obelisk at the crest of the Old Man Range. A rough vehicle trasck leads down to the upper fraser River and the hut, located on a terrace on the true left.